The Comfort Inn & Suites Northgate Airport has a range of rooms available, all fully air-conditioned and featuring Broadband internet access, private ensuite bathrooms, desks, hairdryers, mini bars, fridges, free cable TV and modern furnishings. 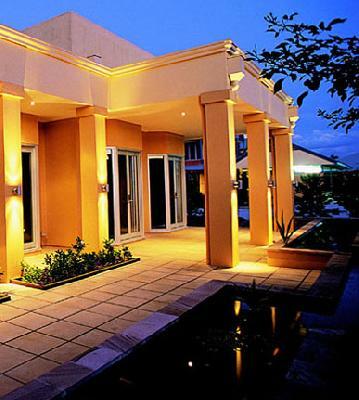 This affordable Brisbane hotel is only minutes from Brisbane International/Domestic Airport and has been designed by award winning architects. This hotel offers unsurpassed budget quality, comfort and friendly service that will make you feel right at home. Ideally located in Brisbane the Comfort Inn and Suites Northgate Airport is within easy reach of all the major attractions that the city has to offer. This along with the many guest facilities like lounge bar, business centre, child minding, conference centre, direct internet access, disabled facilities, free car parking, guest laundry, restaurant, room service, outdoor swimming pool, tour desk, airport shuttle and baby cots available for families is what makes the Comfort Inn and Suites Northgate Airport such a great place to stay. Conveniently positioned only minutes from the Brisbane airport, the Comfort Inn & Suites Northgate offers high quality budget hotel rooms at affordable rates. 2 Bedroom Spa Apartment : Sleeps up to 6 guests on 1 Queen Bed & 2 Single Beds & Sofa Bed. Studio Kitchenette : Sleeps up to 3 guests on 1 Queen Bed & 1 Single Bed. Studio Queen Hotel Room : Sleeps up to 2 guests on 1 Queen Bed.